Just a quick post, lovelies, as I am off to the cinema this evening. My pictures were confined to the great British indoors today as it has been grey, miserable and rainy for the last three days where I live. Just a few days ago, I was raving about how gorgeous the weather had been - I guess I must have jinxed it! The pictures we did take weren't that great, so there are only a couple, but I really wanted to make a post for my new summer jacket. Love love love. It's a gorgeous, lightweight chiffon, with big, kimono style sleeves - we didn't get a good shot of the sleeves, but definitely will when I wear it next. It feels so pretty and oriental - I love anything inspired by Japan. I wore it over a pretty basic, all black outfit but am already itching to wear it with brights and sandals - when the sun makes another appearance, maybe! This outfit is definitely more autumnal than I'm used to of late, but hopefully I'll be back in my summer brights and skirts before too long. i love the light, floaty-ness of the jacket. check out my newest post:like a fashion ad? Great jacket, love the lippie! that jacket is adorable! it looks like it could be part of the winter kate collection. i love it! You look so beautiful, I love your shoes. The jacket is gorgeous, and I love your shoes too! Ok, I totally remember coveting this jacket at Topshop. I love that pink lip you've got going on! The print on your jacket is divine & I rather like those very cool wedges too. Such a lovely outfit, you've got to love topshop! You look so lovely, and you have such amazing hair!! Have fun at the cinema!! Awesome shoes. THat jacket looks gorgeous. It works so well combined with that dress and shoes. what a beautiful look! that's a really pretty top and i'm in love with your shoes! you look great! i love the bangs espically with the socks and heels great summer look girl! i love everything about this outfit. you look so chic. I agree, I love anything Japanese-inspired as well, great heels! 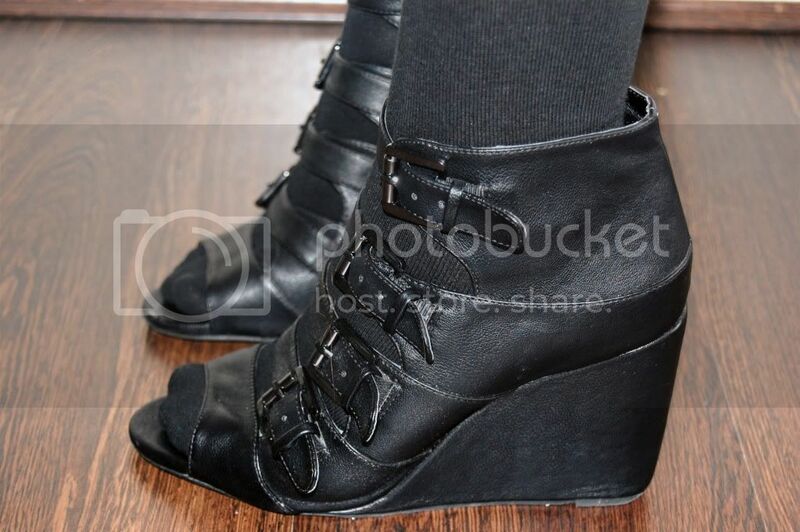 Those buckle wedge is to die for! Cant wait to wear mine! your wedges are soo cute. thanks for commenting, and I love your style aswell. I love how the lip colour pops!! The outfit looks super comfortable. The jacket is so airy and lovely. that jacket is so great!! oooh, love your jacket! Where are your wedges from by the way? They're gorgeous! You look beautiful. Love the makeup and jacket! You are so stinkin adorable. Stoked that I found your blog. :) This oufit is amazing.. and so are those shoes. sigh. Thanks so much for the birthday greeting! I do hope that the sun comes back to visit us! The jacket is beautiful, really elegant! 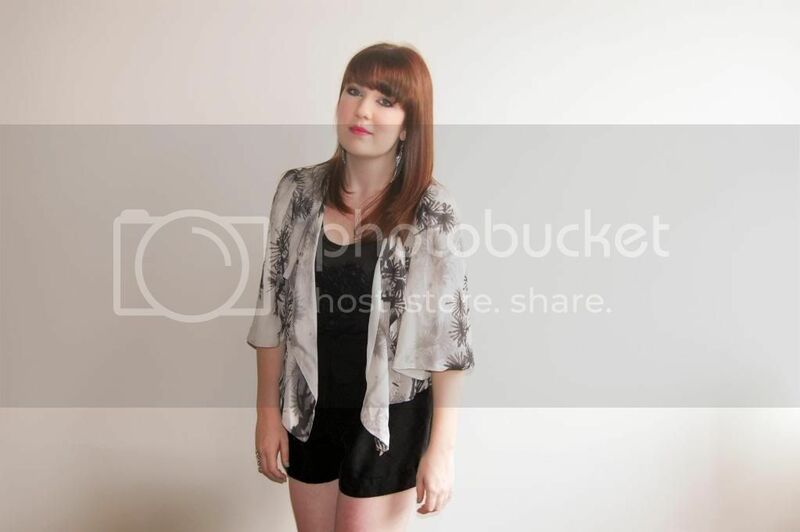 i love kimonos so much, especially this one! nice outfit! What a wonderful chiffon kimono, the colour is absolutely beautiful on you my dear! It's grey and wet in my part of the world too. No fun at all! I've been wrapped up in my winter knits and knee high boots the last couple of days - it feels like November! wow I saw that Kimono online and fell i love with it! It looks amazing on you! I love your style! We would love to have you come check out our new collection for this season! i don't know if "gorgeous" covers it! it's stunning, unique and suits you perfectly. This is perfect head to toe. The kimono top is pretty spectacular. Ps Totally know what you meen about the British weather! i loooove the shoes so much! awesome shoes! i love them with the socks! wow I am in LOVE with that jacket. You look amazing. I want everything you have on. total chic love the top! and wedges..
you look really cute and nice outfit! and Oh! I like your hair :) so bright..
Love the jacket, so light and flowy! I looove your lippy in this photoshoot. What product is it? You look absolutely fab for your cinema outing! I am sorry the weather is not cooperating but if it makes you feel any better, it is still crazy hot weather here! I am loving that little kimono top/blouse! and of course your red hair! love that outfit, the colors are lovely on you! loving the chiffon, and those shoes are so good! beautiful oriental inspiration, and I'm loving the pink lips! Absolutely LOVE the jacket - so gorgeous! I love your blog, I'm your newest follower. Would love if you'd visit mine and follow back! Beautiful outfit! There's one hair on your shoe, I find it disturbing haha! Cute outfit and nice blog! Great outfit, these shoes are lush! Love them! Hai. I'm your new followers. 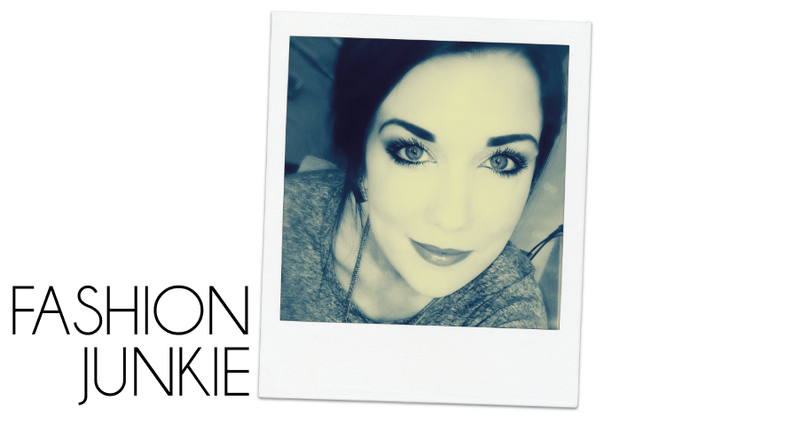 Wanna follow each other on BLOGLOVIN and GFC??? Thanks for your sweet messages, they always put a smile on my face! Pictures and content are property of Nikki Boyle. Powered by Blogger.